Cindy was a pioneer skater in the male dominated profession of professional vert skateboarding during the 70's, and became one of the top ranked professional female pool and half-pipe skateboarders. She still holds the distinction of being the only female to be featured in the centerfold and a two-page article in a skateboarding magazine. Cindy was also the first female skateboarder to be sponsored by Puma. 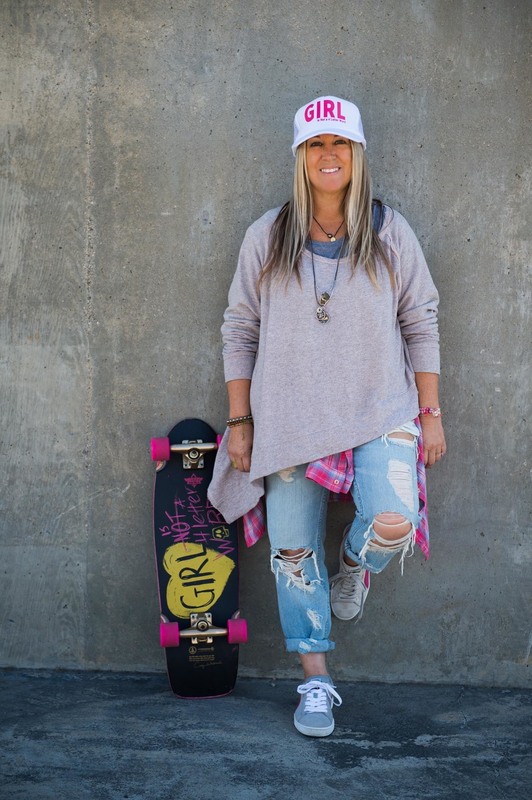 Since her retirement from competitive skateboarding, Cindy has worked as a fashion stylist for the past 25 years specializing in sports, with companies like Gatorade, Nike, the NBA, and athletes such as Tiger Woods, Michelle Kwan, Kobe Bryant, Drew Brees, Maria Sharapova, and Mia Hamm. She is also coined the term "Sports Stylist". 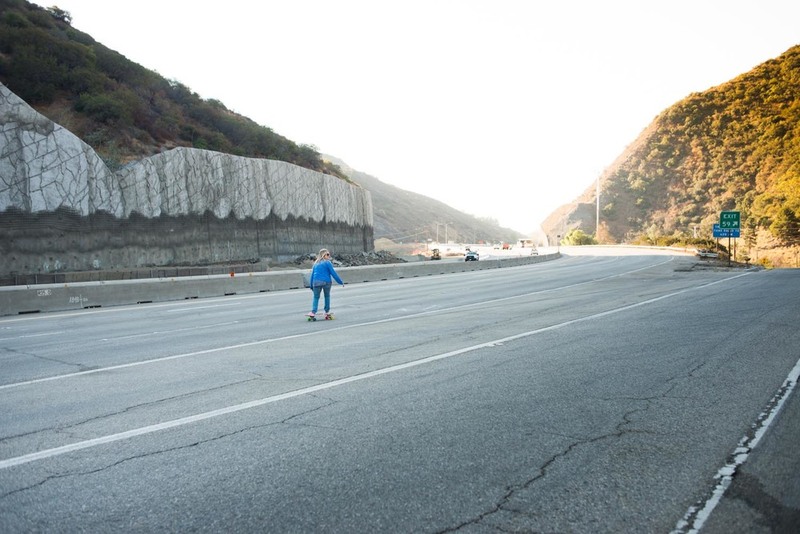 Never one to shrink from a challenge, in 2012 Cindy made national headlines by skateboarding down the closed 405 freeway in Los Angeles. In June of 2013 Cindy donated a collection of her skateboarding memorabilia to the Smithsonian’s National Museum of American History. In 2015 Cindy was featured in Puma Suede’s new book; XLV Stories of The Puma Suede – she was the only female athlete profiled. In 2013 Cindy created a brand called “Girl is NOT a 4 Letter Word” in collaboration with Dusters California skateboard company (the brand responsible for bringing back Kryptonics Star tracs) she designed a skateboard specifically for the female market. The GN4LW brand gives back to women in action sports with every collab it creates. Cindy recently signed an additional two year deal for her skateboard line. In January 2015 she joined forces for a collab project with “XS Helmets”. Cindy skated on Kryptonics wheels in her days as a professional vert skateboarder and now has come full circle to once again be riding and represent Kryptonics Star*Trac Wheels. “ I am extremely honored to be the first female ambassador for this iconic brand - I rode and loved the wheels back in the day, and am excited to be skating them again now" said Cindy upon being named Kryptonics first female Brand Ambassador. In addition to representing Kryptonics Star Trac Wheels at skateboarding events, Cindy will also be promoting Kryptonics through social media and the “Girl is NOT a 4 Letter Word” brand. The complete line of Kryptonics Star Trac Wheels are now available worldwide at skate shops and through online retailers. Please contact your Dwindle or Dusters California sales rep for ordering information. Kryptonics Star*Trac Wheels is stoked to announce that Pelle Plast has been named as our Swedish Brand Ambassador. Pelle a lifelong Kryptonics fan is well known throughout the skateboarding world as a highly ranked Masters Division Slalom racer, in fact he is currently ranked 6th in the International Slalom Skateboarding Association latest rankings. Besides being a top notch racer, Pelle is also known for his outrageous racing outfits. Pelle began skateboarding in 1978 on a plastic GT. Pelle’s first experience with Kryptonics came when a wealthy family friend let him ride an Alva skateboard that was setup with red 78A Kryptonics. He remembers it feeling like he was flying. From that moment on, Pelle dreamed of owning Kryptonics wheels. Finally in 1980, Pelle scored a set of blue Krytonics, and then a short time later he acquired his dream wheels, Kryptonics C-65mm reds. When asked about being named Kryptonics Swedish Brand Ambassador, Pelle commented, “Kryptonics Star*Trac wheels have been a part of my life for a long time, bringing me so much fun over the years, and now to be an Ambassador for Kryptonics is absolutely the biggest thing ever in my skateboarding life”. Watch for Pelle at a slalom race near you…you can’t miss him! Kryptonics Star Trac Wheels are available worldwide at skate shops and online retailers. For more information please visit kryptonics.com, or visit our Facebook page: facebook.com/kryptonicswheels. You can also follow us on Instagram @Kryptonics. Gregg "Cadillac Kid" Weaver interviewed by our very own David Hackett. Gregg talks about when he got his first set of Kryptonics and his SkateBoarder magazine cover and centerfold that was shot at Skatopia. Part 2 of Episode #10. Dennis covers a wide range of subjects in this video: His long relationship with Ellen Oneal, Being on the cover of SkateBoarder Magazine, what it was like riding for G&S, and his work today with "lifers". We back with a new episode! Dennis Martinez Episode #10 - Part One of a two part interview with the legendary Dennis Martinez. Don't miss this one, some deep history and great stories, as only Dennis can tell them.